Regular scheduled carpet cleaning and maintenance for your commercial building or business offices. Highly effective carpet extraction that gets results. 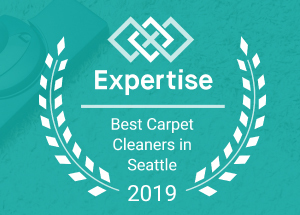 We do restorative cleaning as well, but a regularly scheduled cleaning will ensure a better look and much longer lasting carpets for your company. We take care of the high-traffic areas, spot cleaning, stain removal, and odor removal. Any type of carpet in your home cleaned more completely. High powered carpet extraction (steam cleaning) that gets your home's carpets back to looking great and lasting for the long haul. Get an accurate quote to clean all carpets in your home, or combine this service with upholstery cleaning or tile & grout cleaning services. We also handle spot and stain removal and odor removal. Cleaning upholstery in your home or business effectively. Get couches and other upholstered furniture cleaned, allowing them to last longer and smell fresher. We can get tile and grout restored, whiter, and brighter than ever before. We clear out the grime in grout and tile on countertops, floors, showers, ceramic tile, and natural stone materials.